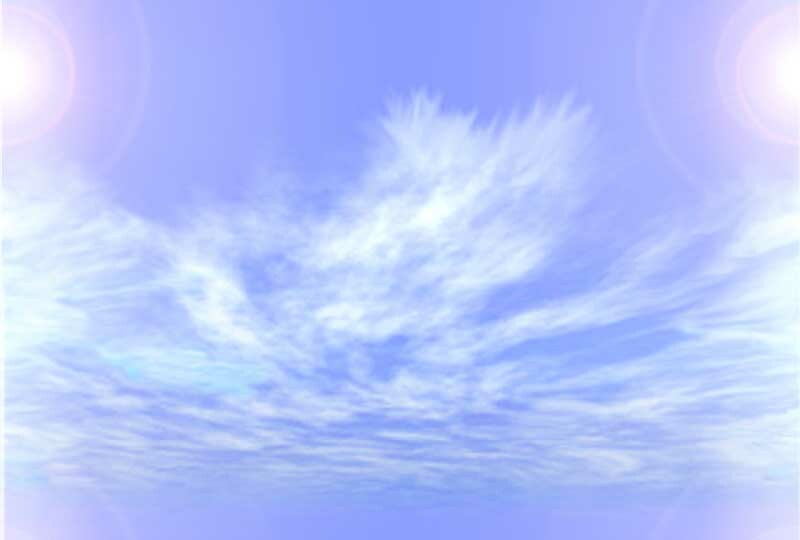 is over but check out our..
Avatars99 Happened, Read the Reviews! 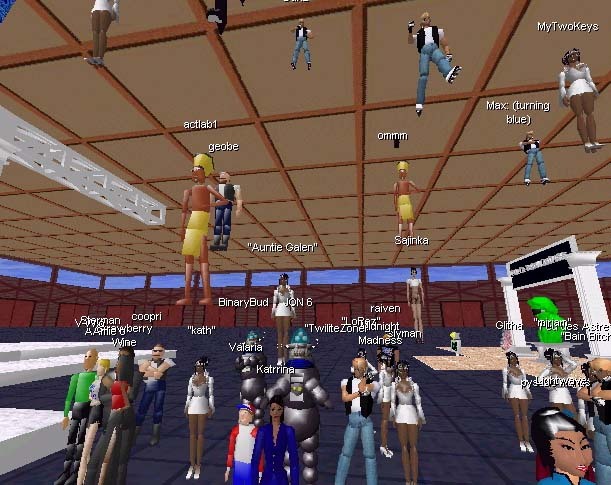 A veritable cloud of conference attendees float attentively during the grand finale Avvy Awards ceremony at 6pm Pacific Standard Time on November 21st, 1998. Click here to see the Avvy Award Pages. New! Press and other Written Reports! New! 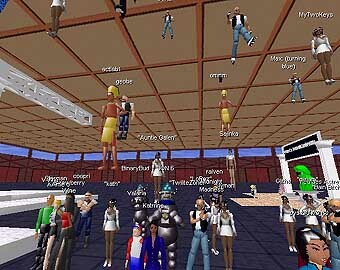 Tour the Avatars98 Hall! This page was our guide to information about the one-day schedule for Avatars98. It all happened on November 21st, 1998, folks! Click the links for details on our exciting speakers, exhibits, art show, performances, and special events like front and center and the Avvy Awards. Check out our pages on in-world happenings and face-to-face locations! Before the event, many folks joined our crew and really got involved in the creation of this groundbreaking happening in Cyberspace! Pages produced by DigitalSpace Corporation and Consortium Volunteers.